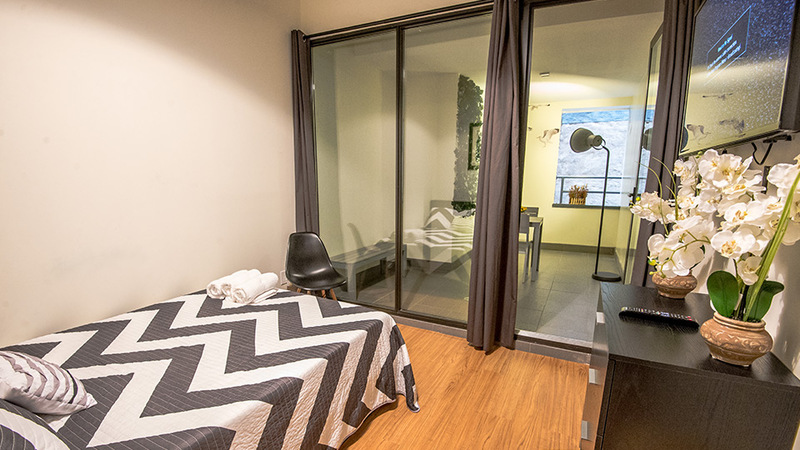 Every so often a special new hostel comes along that captures the imagination of guests and the curious alike. Welcome to Jazz on Columbus Circle! 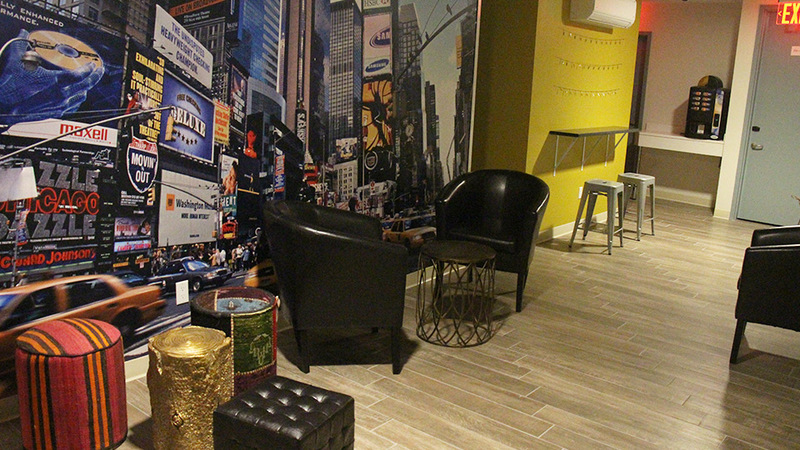 Experience NYC when you walk through our doors, immerse yourself in the history and culture of the city through our themed floors and rooms. We invite you to tour each floor. 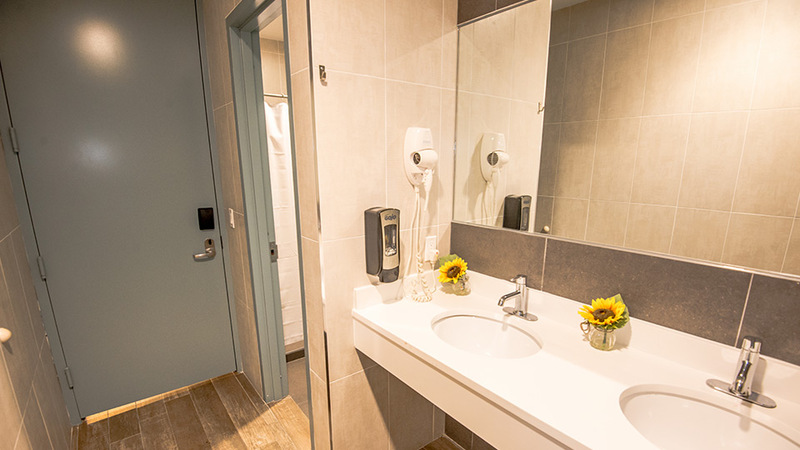 We have shared, family and private rooms, don’t waste another minute. 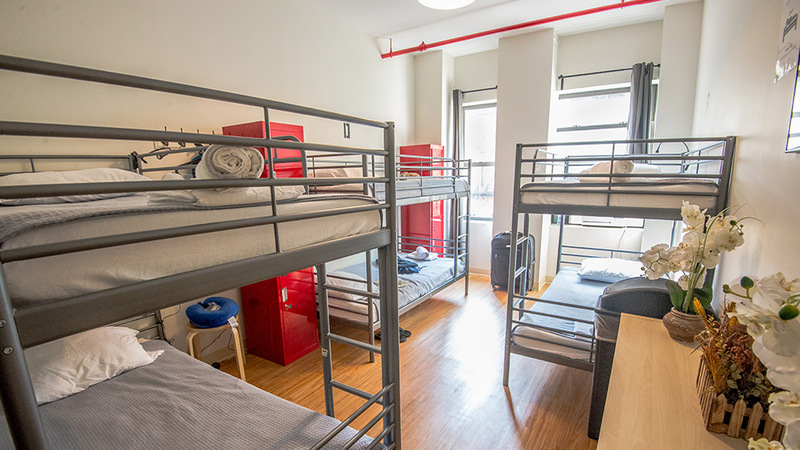 Jazz on Columbus Circle Hostel is in a great location in the center of NYC. You’ll find it nestled next to Central Park, a stone’s throw away from the world famous Columbus Circle traffic circle. Take time to visit Lincoln Center a short walk away, catch a bus or one of the 5 subway lines (A.B.C.D&1) to anywhere in NY. 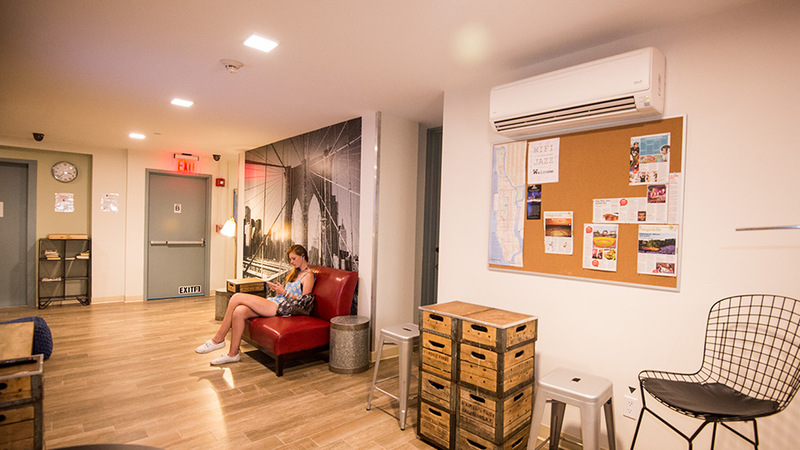 With restaurants, art galleries, bus/bike tours, shopping, clubs and bars surrounding the hostel, you will become more than a visitor, you will be a part of the fabric of New York. It is important to us that your stay at Jazz is safe and smooth. At Jazz we offer you these free services and features. These Extras are available for you at Jazz. Anything else? Don't hesitate to ask. Maximum stay at Jazz Hostels is 14 days per year. All guests under 17 must be accompanied by a parent or legal guardian. Jazz On Columbus Circle, is an equal opportunity provider and employer. We do not discriminate based on age, gender, race or orientation. Please contact us with any questions you may have about this policy.